What conditions does Fetzima treat? Tell your doctor right away if you have any serious side effects, including: pounding heartbeat, signs of stomach/intestinal bleeding (such as black/bloody stools, vomit that contains blood or looks like coffee grounds, dizziness), easy bleeding/bruising, problems beginning the flow of urine, painful/difficult urination, signs of low level of sodium in the blood (such as nausea, extreme drowsiness, mental/mood changes). Get medical help right away if you have any very serious side effects, including: seizures, eye pain/swelling/redness, widened pupils, vision changes (such as seeing rainbows around lights at night, blurred vision). List Fetzima side effects by likelihood and severity. Before using this medication, tell your doctor or pharmacist your medical history, especially of: kidney problems, personal or family history of glaucoma (angle-closure type), personal or family history of a certain mental/mood disorder (bipolar disorder), personal or family history of suicide attempts, high blood pressure, heart problems (such as chest pain, heart attack, fast/irregular heartbeat), poor blood flow to the brain, urinary retention or problems urinating (such as enlarged prostate), seizures, mineral imbalance (low level of sodium in the blood). This drug may make you dizzy or blur your vision. Alcohol or marijuana can make you more dizzy. Do not drive, use machinery, or do anything that needs alertness or clear vision until you can do it safely. Avoid alcoholic beverages. Talk to your doctor if you are using marijuana. What should I know regarding pregnancy, nursing and administering Fetzima to children or the elderly? Some products that may interact with this drug include: diuretics/"water pills" (such as furosemide), other drugs that can cause bleeding/bruising (including antiplatelet drugs such as clopidogrel, NSAIDs such as ibuprofen/naproxen, "blood thinners" such as warfarin/dabigatran). 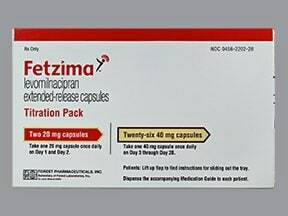 Does Fetzima interact with other medications? Should I avoid certain foods while taking Fetzima? 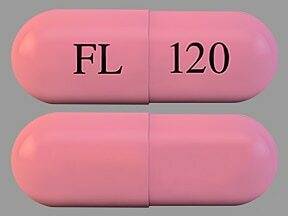 This medicine is a pink, oblong, capsule imprinted with "FL" and "120". 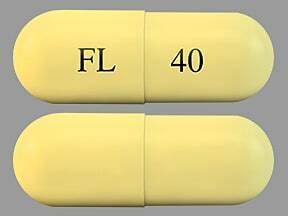 This medicine is a yellow, oblong, capsule imprinted with "FL" and "40". This medicine is a multi-color (2), oblong, capsule imprinted with "FL" and "20 or 40". 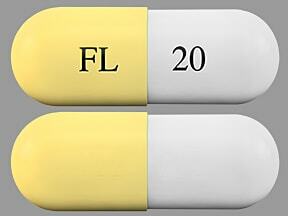 This medicine is a yellow white, oblong, capsule imprinted with "FL" and "20". 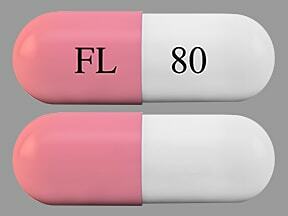 This medicine is a pink white, oblong, capsule imprinted with "FL" and "80". Are you considering switching to Fetzima? How long have you been taking Fetzima?